Recruiting Students Who Seek to Become Farmers in the Future as Agricultural Farming Trainees! Hello, I am Matsumura from Ogurayama farm in Japan. 13 years has passed since we started being a WWOOF Host in 2005. Within these years, we have accepted over 700 people as WWOOFers from different regions in Japan and from all over the world. Ages range from as young as 16 years old to 72 years old! As I write this, the numbers of acceptances, age, nationalities and all do shock me!! 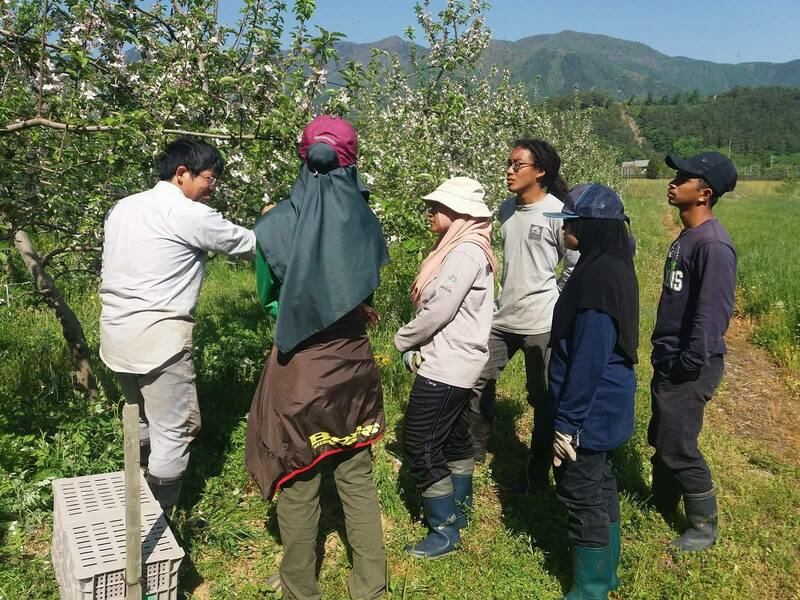 Moreover, starting in 2016, students from an agricultural university in Malaysia have taken the opportunity to have an internship through WWOOF. We had 4 groups with 14 people in total, each spending around 3 months at our farm. With eager to on wanting to study agriculture, especially organic farming, for our farm to accept such enthusiastic students was a great rewarding experience for us. By taking advantage of the opportunity at our farm through studying the techniques and styles of organic farming, we are very pleased to see the growth of students and how they apply their studies in the agricultural community. At our farm, Ogurayama Farm, we hope to accept more and more people interested in organic farming, people wanting to practice agriculture, and of course students from agricultural Universities as well as students from University Putra Malaysia who have Interned in the years. We hope people will use this opportunity as an internship. ＊By going to the actual fields, you can observe how organic farming is done. The agricultural practices we take are: the method using reduced amounts of agrochemicals for cultivating our fruits (using only 30% agrochemicals that are usually used in agriculture conducted in our area), and agrochemical-free method for vegetable cultivations. By preventing the use of nitrogen-based fertiliser, our crops tastes better and takes longer to rot or go bad. ＊You can learn pruning techniques that enhance the effects of phytohormones, plant hormones. The tree pruning method we use is completely different from usual methods. Using this technique, the trees get stronger, the fruits grow in size and get tastier, and become more resistant against infectious insects. 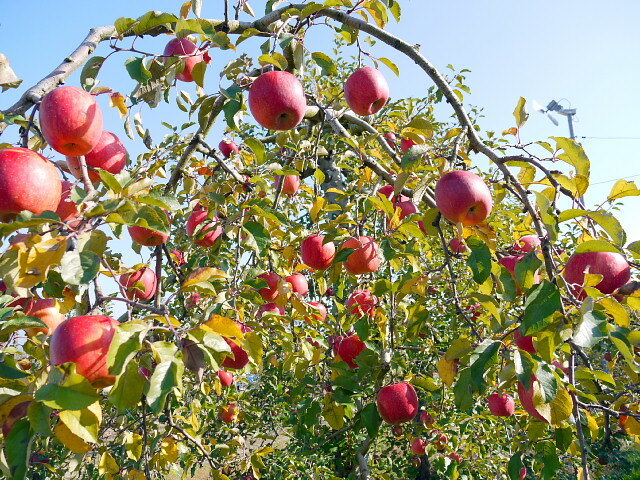 This is the basic technique of caring for an orchard without the use of nitrogen-based fertiliser. ＊You will also learn how to produce valuable crops for consumers and how to sell them, growing to become an independent farmer. ＊People from overseas can learn the livings, the customs, the culture, the food, and the language of Japan. In reverse, Japanese people can interact with people from abroad, a place to make many new friends. ＊Our Ogurayama Farm is a WWOOF host as well, so a number of people come to our farm from all over in Japan and the world. (It is rare that no one besides you would be here during your time of stay.) Also, you can interact with the family owners of the farm, the staff members, neighboring people and friends living close by. ＊We will provide one day off each week so you can visit surrounding tourist sites. ＊Please ask anything during your training period. ＊Once every week, we will hold a weekly trainee meeting where we will have a study session. For more about WWOOF, please visit the website below.